The Best Seaside Restaurants in Halkidiki, Greece. Located not far from Thessaloniki, (Greece’s second largest city) Halkidiki attracts countless tourists every summer. And every year it gets better and better. This charming peninsula in Greece seduces tourists with its stunning beaches, verdant nature, very popular nightlife, yummy food, especially fresh fish and a magnificent view from seaside restaurants. Speaking about the food, Halkidiki offers you many cuisines : from traditional petite taverns right next to the sea to luxury gourmet restaurants. That’s why Halidiki is represented as the best foodie destination in the entire region of Macedonia. The Luxury Beach Bar in Hanioti Halkidiki-Achinos Beach 7seas. Achinos is a brand new and luxury seaside restaurant located on the first peninsula of Halkidiki, in Hanioti beach, 102 km away from the city of Thessaloniki. Diaporos is one of the most stunning and authentic island of nine islands that belong to Sithonia peninsula of Chalkidiki. Situated in the bay of Vourvourou village in northern Greece, it represents a pure pleasure for eyes and soul. Located on a private bay, Diaporos island is literally unforbidden paradise for every single yachtsman lover and owner in Halkidiki. Gourmet Tree-House Restaurant, Ekies All Senses Resort-Sithonia, Halkidiki. Surrounded by sandy beach and coral waters, the beachfront Tree-house restaurant of Ekies All Senses Resort offers delicious gourmet dishes. Under the shade of the large pine, you can taste the modern version of local traditional recipes and enjoy the stunning sea view. The Forbidden Place For Women-Mount Athos, Greece. Mount Athos, which is forbidden to women and children, is the oldest surviving monastic community in the world. 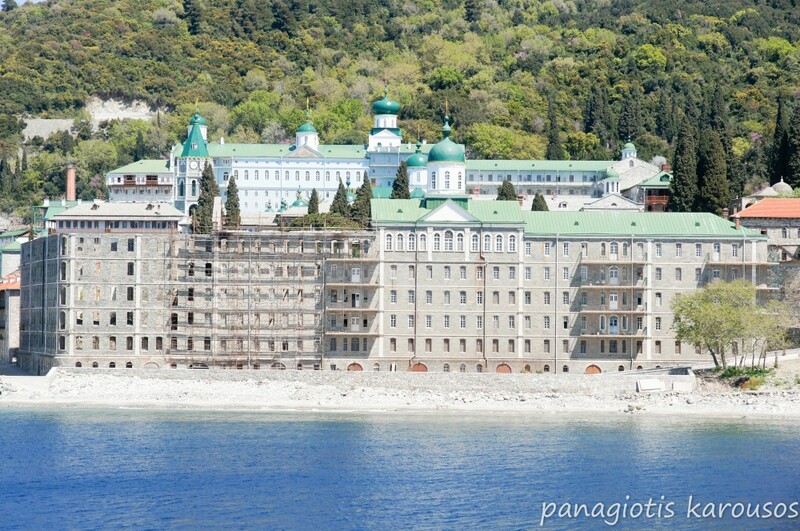 An Orthodox spiritual centre since 1054, Mount Athos is governed by its own local administration. Also called the Holy Mount since it’s completely dedicated to prayer and worship of God. Everyone who visited it is impressed by it’s unspoilt natural beauty and the relaxing atmosphere. Since I am not a man and I don’t have the guts to get dressed as a man and snuck into a monastery, I will never have the chance to visit this place. Fortunately my friend Panagiotis, who happens to be a really good photographer, visited recently Mount Athos and let me share with you the photos of the mysterious land where myth is entwined with history and miracles mingle with reality. Let’s enjoy the journey to the Holy Mount Athos through the stunning photos of Panagiotis Karousos. Paliouri beach is undoubtedly the prettiest beach of Kassandra, the first peninsula of Halkidiki. The combination of the deep blue crystal clear water, the dreamlike sandy beach and the green scenery of the pine-covered hills impress every visitor. In the first peninsula of Halkidiki, in Kassandra, 102 km away from the city of Thessaloniki, in Hanioti beach that is located between Kallithea and Pefkohori, lies the popular beach bar Molos. Paliouri beach is probably the prettiest beach of the first peninsula of Halkidiki. It is located on the end of the peninsula Kassandra, about 1 hour and 45 min drive from Thessaloniki. There are several nice beach bars on walking distance as Lefki Ammos and Koursaros but the most luxury one is Cabana. I love this place. Relaxing! Refreshing! And very summery!!! There’s something magical about beach bars. When someone says “go to your happy place,” I’d bet that 90 percent of people picture a beach. With a cocktail in hand, the warm sand between your toes and the soothing sound of the waves crashing you’ve officially left your worries behind for a laidback and carefree life—even if just for a few days. The beaches in Halkidiki are like a secret that only Greeks know about. Characterized by fine white sand, crystal clear turquoise waters, lush surroundings and cool beach bars they are practically perfect, and just because it’s not an island does not mean you should stay away. Below are listed the most visited beach bars of Halkidiki starting with the beach bars of Sithonia, the second and the prettiest peninsula of Halkidiki. 1. Manassu Beach Bar-Akti Oneirou (Dream Coast). The Beach Bar Manassu is a great choice if you want to go to crowded places with loud music and perfect parties. In fact, many visitors come early in the morning and don’t leave until after midnight. Sun beds are right on the beach, where guests sunbathe the day away. There is a settlement with camping facilities, bungalows and a restaurant.